Can you already feel spring activities in your school yard, and are your school or house windowsills already full with green plants? Do you want to make your yard more colourful? We invite everyone, who like to work in garden or enjoy throwing themselves into new challenges, to participate in the practical education workshops “Grow your own plants!” at the LVM Kalsnava Arboretum. In the educational workshops everyone will have a chance to sow a bright wooden plant from seed, which, when grows bigger, will be planted in school or house yard. The knowledgeable specialists of LVM Kalsnava Arboretum will tell you different “hacks” that will help in the planning and keeping of school’s or house's garden. “Nature is slowly waking up, and people also are starting to plan spring works. The sun of March is melting snow, ice and is warming up soil. Soil is waiting impatiently for sowing season and for the new seedling to be nurtured. However, seeds collected last autumn are activating their germination processes”, about the changes in nature tells Sanita Vaivode-Āzena, Project manager of Forest education at the LVM Kalsnava Arboretum, she invites schoolchildren and also families to go to arboretum and have practical activities to grow beautiful plants from seeds. In the educational workshops “Grow your own plants!” everyone will have an opportunity to grow one of the colourful, early spring blooming shrubs, which are blossoming with bright yellow flowers – Korean forsithia (Forsythia ovata). It is one of cold-resistant species of forsithias in Latvia. Shrub will grow 1 to 2 metres high and approximately 1.5 metres wide. Though, forsithias are rooting well from cuttings, but when grown from seeds, we get a seedling with stronger root system, that grown in greenhouse conditions can bloom already in the third growth year. 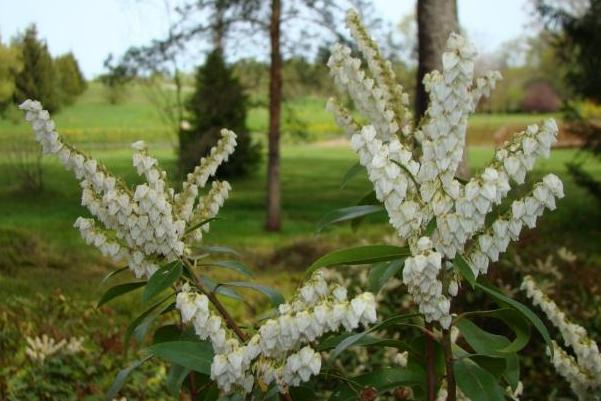 Mountain Fetterbush (Pieris floribunda) can also be grown from a seed; they are evergreen bushes with small, white and aromatic flowers that bloom in May. It develops a dense branching and grows up to 1.5 metres in height. These bushes grow well in half shade, in acidic soil, however, you have to be patient, because they have a rather slow growth rate. It is also possible to grow from seed one of the rhododendron (Rhododendron sp.) species, whose seeds have been collected at the arboretum. Think over if your yard will be a suitable place for this bush when it is mature, because these species are sown and planted in acidic soil! 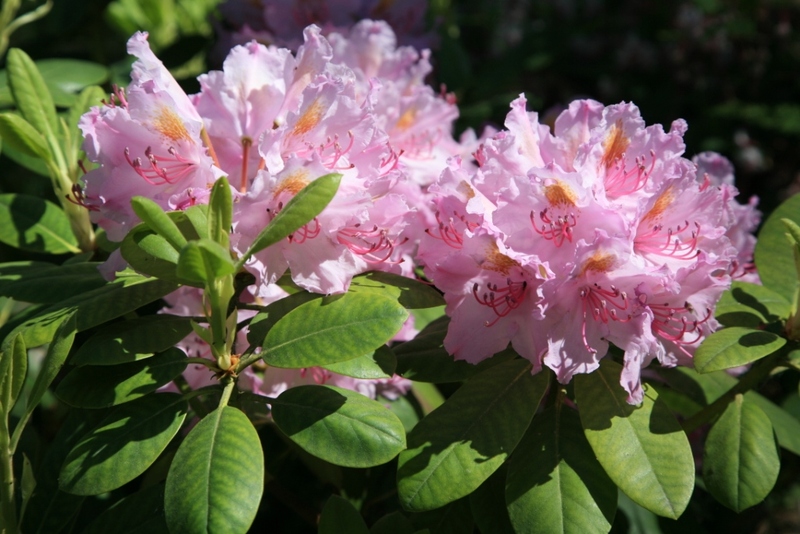 Don't worry if the soil is not acidic, with a little work it can be changed, and then your yard will be beautified with a beautiful rhododendron bush. Make you windowsills green while waiting for spring!